The magic happens in the hippocampus. The majority of our neurons are already in place by the time we are born, although some are still produced during childhood. 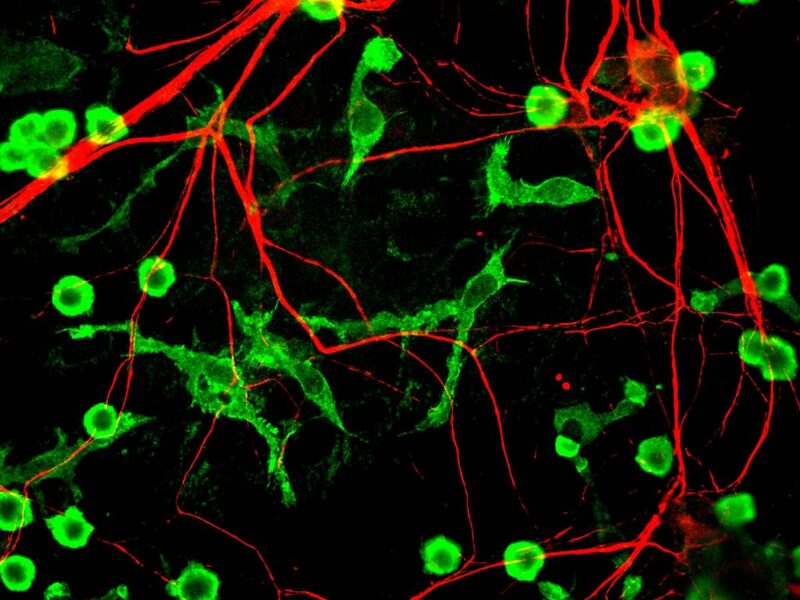 Traditionally, it was thought that no new neurons are produced during adulthood, but researches are still arguing whether this is truly the case. Neurogenesis, the production of new neurons, has remained a controversial topic. A recent study found that even if new neurons are produced into adulthood, this process happens early in adulthood, and is very limited. Other studies have claimed that neurogenesis doesn’t happen at all, while some teams have reported evidence of new neurons being formed. The situation is still murky, but a new study tries to clear the waters, reporting that neurons are formed well into old age. According to a paper published in Nature Medicine, new neurons continuously develop in the healthy human brain up to the ninth decade of life — at least in the hippocampus. Maria Llorens-Martin and colleagues from the Universidad Autónoma de Madrid analyzed tissue samples from 58 human participants. They found that while neurogenesis can decline with old age, it is still present across the lifespan in the hippocampus, particularly in an area called the dentate gyrus, a region associated with the formation of new episodic memories and the spontaneous exploration of novel environments. They also find that this process decreases sharply in people suffering from Alzheimer’s. So not only does the study provide new insight on neurogenesis, but it also highlights a mechanism associated with Alzheimer’s. As for the discrepancies between this study and previous results, researchers say it’s owed to methodological differences. Having high-quality samples and processing them properly and quickly is vital, they argue — otherwise, the evidence of neurogenesis can be destroyed. Factors such as tissue fixation techniques or delays in the time between tissue acquisition and processing can alter the results, they explain. “Our data demonstrate that the prolonged or uncontrolled fixation conditions to which human samples are typically exposed in brain banks worldwide lead to a sharp reduction in the number of [neurons] detected in the adult dentate gyrus,” the paper concludes. The study “Adult hippocampal neurogenesis is abundant in neurologically healthy subjects and drops sharply in patients with Alzheimer’s disease” has been published in Nature Medicine.